A handful of individuals seem to get most of the credit (or blame) for a movie, and it's usually a star, a writer, or a director. But a production is always a highly collaborative endeavor, and hundreds of people might help bring a film from page to screen. These people are experts in their field, be it lightning, cinematography, set design, costumes, or makeup. Despite that level of world-class talent and professionalism, those artisans and film magicians are people, and people make mistakes. There are so many variables that occasional on-set incidents are inevitable. Pyrotechnics can malfunction, a stunt performer's safety line may break, or a grip may look the A-list star of the movie in the eye. One wouldn't think that relatively innocuous movie necessities like costumes, makeup, or prosthetics could lead to disaster or grievous bodily harm, but they can…and do. Here are some stars who narrowly averted medical harm from those character accoutrements. Every film actor has to wear at least some makeup, and roles in comic book and science-fiction movies might require a bit more to make stars pass for not-quite-human characters. 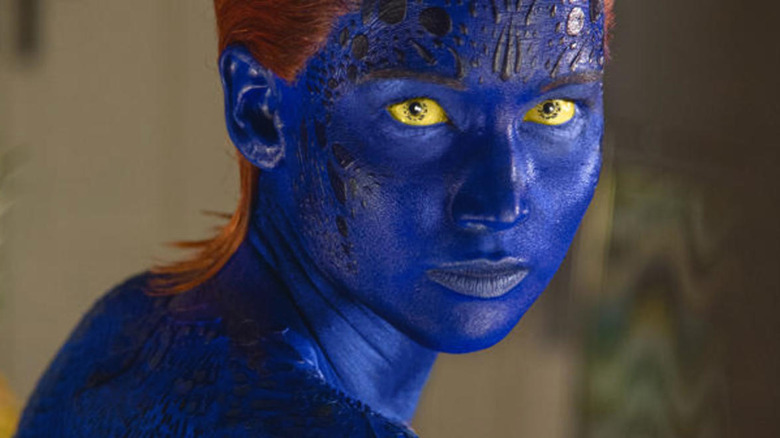 Take, for instance, the tremendous volume of body paint required to turn Jennifer Lawrence into the extremely blue mutant Mystique for 2011's X-Men: First Class. Lawrence told E! that all the blue goo did nasty things to her skin. "I got a couple of things from the paint," Lawrence said, "like weird boils, rashes, and blisters." After too many of those painful blemishes developed, Lawrence called in a doctor to pop those pus-packed pustules. "We're trying to figure out some ways to avoid future skin irritations," Lawrence quipped when asked about her plans for the sequel, X-Men: Days of Future Past. In 2015, Lawrence told Entertainment Weekly that she'd quickly sign on to play Mystique plenty more times, but the makeup gives her pause. "I love these movies," she said. "It's just the paint." It's hard work transforming a cartoon into a meatspace entity. Turning Dr. Seuss' classic holiday tale How the Grinch Stole Christmas — and its beloved made-for-TV animated adaptation — into a live-action movie was a long and difficult process. Producers Brian Grazer and Ron Howard (who also directed) emerged victorious in a two-year-long studio bidding war for the rights because Audrey Geisel, Seuss' widow and estate defender, loved their suggestion that Jim Carrey play the title role. That's not nearly as agonizing as what Carrey endured on the set of the movie. On the first day of filming, he sat in the makeup chair for more than eight hours, an experience Carrey likened to "being buried alive." Thereafter, the process took a mere three-and-a-half hours, which included fitting the rubber-faced actor with large, uncomfortable, colored contact lenses. 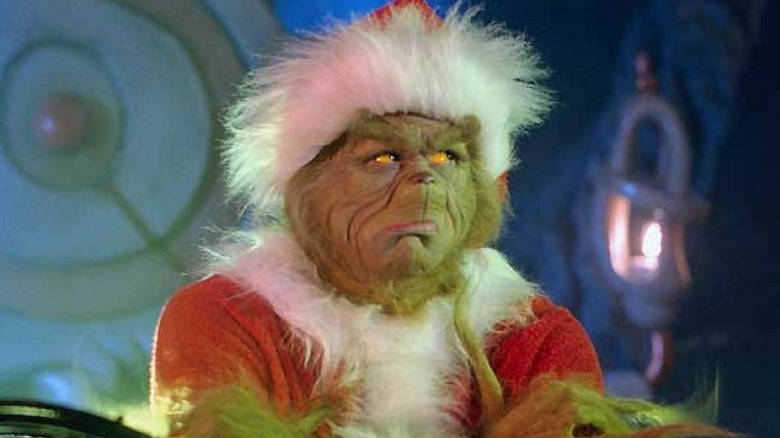 At one point, Carrey was in so much agony from becoming the Grinch that he threatened to quit. "I can't do this any longer," he reportedly told Grazer. "I'm gonna give all the money back," he added, rather than submit to any more of an experience he called "torturous." Grazer wouldn't let him quit, and instead brought in a military trainer to help Carrey get his head in the game. 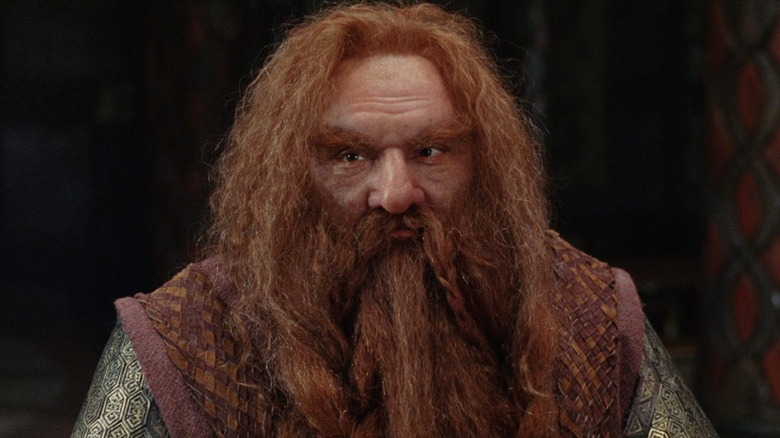 Prolific veteran actor John Rhys-Davies is nearly unrecognizable in all three The Lord of the Rings films, bringing life to Gimli, the brusque but lovable and loyal dwarf warrior of the noble Fellowship of the Ring. To turn him from man into Middle Earth denizen, the Rings crew used all manner of makeup, prosthetics, and fake beards, some of which left him with a nasty allergic reaction all over his face. The discomfort may have aided him in channeling Gimli's gruff demeanor, but it was so severe and painful that he could film for only one out of every three days. The pain of it all was so much that Rhys-Davies preemptively turned down the chance to reprise his role as Gimli in The Hobbit. "There's a sentimental part of me that would love to be involved again," he told Empire. "Really, I am not sure my face can take that sort of punishment any more." Let's be honest: live-action superhero costumes are not usually very cool. No matter how good they look in illustrations throughout decades of comics, they tend to look a little silly when they're worn by real people. Scarlett Johansson has been lucky enough to play the rare comic book character who looks consistently chic and stylish on-screen. As Natasha Romanoff, a.k.a. Black Widow, she suits up for the good fight in a timeless black leather catsuit. But still, the outfit came with its own unique set of issues. It tended to make the actress uncomfortably warm and excessively sweaty on the set of The Avengers. "It was so hot, I would wring out my socks at the end of the day," Johansson told Nightline. Even worse, while filming a fight scene, the heat grew so unbearable that Johansson's brain stopped working correctly, and she started to hallucinate. Leather clothes are forever associated with tough guys and cool people. For example, bikers wear leather jackets for protection against potentially deadly falls while riding. Fonzie from Happy Days, meanwhile, just wouldn't have been as fascinating if he'd worn, say, a parka. 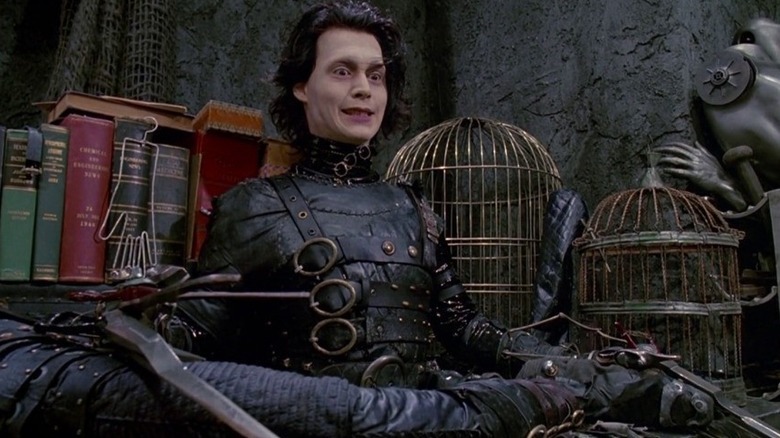 When Johnny Depp wore leather from head to toe as the title character in Tim Burton's 1990 movie Edward Scissorhands, he showed that sweet, sensitive, and quiet individuals could pull off the look, too, in a goth sort of way. But no matter who wears leather, they remain subject to its physical properties, namely the way it keeps its wearer warm and toasty. When a scene required Depp to run, according to costar Dianne Wiest, the actor fainted. "He fell down and we thought, 'Well, is he acting? What's he doing?' And he'd passed out. Never complained, but he'd passed out from the heat of the suit." James Whale's 1931 adaptation of Mary Shelley's Frankenstein is a landmark in cinema. 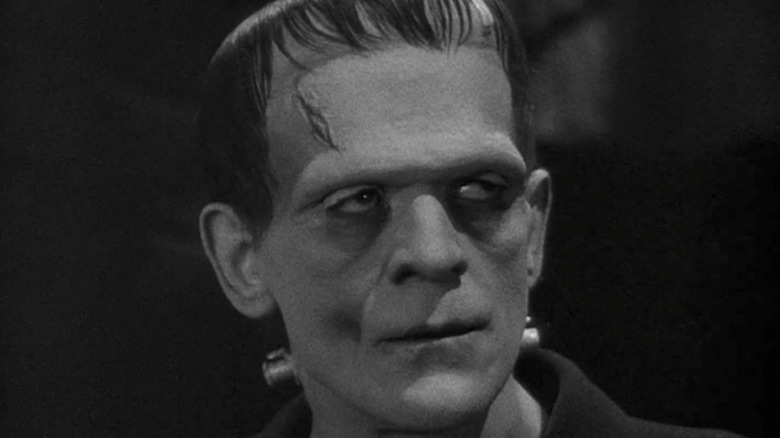 It established many horror movie tropes and techniques still used by filmmakers today, while also providing the world with the indelible image of Frankenstein's Monster: huge, lumbering, bolts in his neck, his skin a ghastly pale. Portraying the Monster made actor Boris Karloff into a horror icon, and he'd go on to play the role in two sequels and star in a wealth of scary movies. That success came at a price. According to the actor's daughter, Sara Jane Karloff, the makeup used to turn her father into a monster was truly monstrous. "The makeup was lead based, which was very dangerous," Sara recalled. "It took four hours to put it on every day, and three hours to take it off." Add a full day of filming to that schedule, and it's clear why Karloff would be constantly exhausted. His daughter estimates that the actor lost 25 pounds during production. "And he was already very thin." The Wizard of Oz is a classic, a candy-colored, fantastical journey to a magical land that's fun for the whole family. 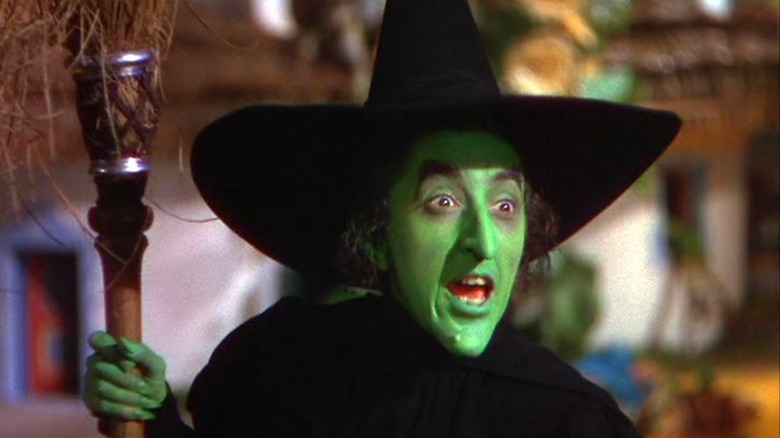 Well, all except the parts with Margaret Hamilton as the Wicked Witch of the West. Her portrayal of the screeching, vengeful, green-skinned baddie ranks at number four on the American Film Institute's list of the top villains in movie history, and her promise to "get" Dorothy and her little dog, too, have given generations of kids untold nightmares. But Hamilton herself suffered the worst nightmare of all: an on-set accident that left her severely burned. After threatening Dorothy, the witch magically exits Munchkinland in a flurry of smoke and shooting flames. Hamilton nailed the first take, but director Victor Fleming wanted another one, just in case. This time, the smoke — and flames — went off too soon, and ensnared Hamilton. Not only did her prop broom and witch's hat catch fire, but the copper-based makeup did, too. The right side of her face was badly burned, as was a makeup-covered hand. She needed six weeks to recuperate. 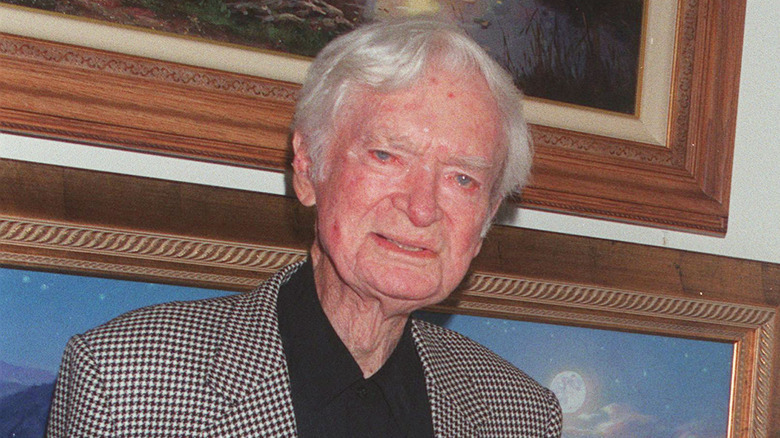 If modern-day audiences are familiar at all with actor Buddy Ebsen, it's probably from his role as Jed Clampett on the '60s and '70s sitcom The Beverly Hillbillies, which was, almost inexplicably, a massive hit. He did some other things to cement his place in Hollywood history, such as the 1973–1980 detective show Barnaby Jones. Before television, though, Ebsen spent years in movies, acting, singing, and dancing his way through such thoroughly old timey-sounding pictures as Broadway Melody of 1936, Born to Dance, and Broadway Melody of 1938. His talents made him the perfect choice to portray the Tin Woodsman in MGM's epic fantasy The Wizard of Oz. It would ultimately prove to be the role that got away. Ebsen actually landed the gig and started filming, submitting to the daily rigorous process of applying silver-colored makeup to his face and whatever parts of his body weren't covered by his costume. But movie makeup wasn't all that sophisticated (or regulated) back in the late 1930s. The stuff slathered on Ebsen was aluminum-based, and after ten days of wearing it all day long, he developed a severe reaction and required hospitalization. Producers hired Jack Haley as a replacement. Titanic won the Academy Award for Best Picture, and was at one point the highest-grossing movie of all time. The secret to its success is that there's something for everyone in the story of the famous ocean liner's tragic maiden voyage. There's the powerful human interest factor of a true story, there's romance, there's drama, and even comedy. It also has amazing special effects and plenty of action, particularly when ill-fated lovers Jack (Leonardo DiCaprio) and Rose (Kate Winslet) run through the ship's corridors to escape rising waters as the ship slowly sinks. Filming Titanic meant recreating the deaths of real people, and it almost took Winslet's life as well. 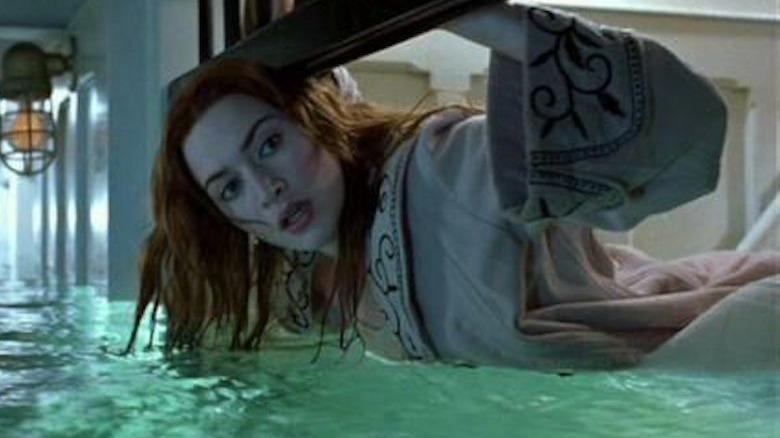 Jack and Rose run through a narrow hallway as a wave of water crashes over them and into a locked gate. The coat Winslet wore then got caught on that gate, pulling her underwater and holding there for way too long. "I had to sort of shimmy out of the coat to get free," Winslet said.